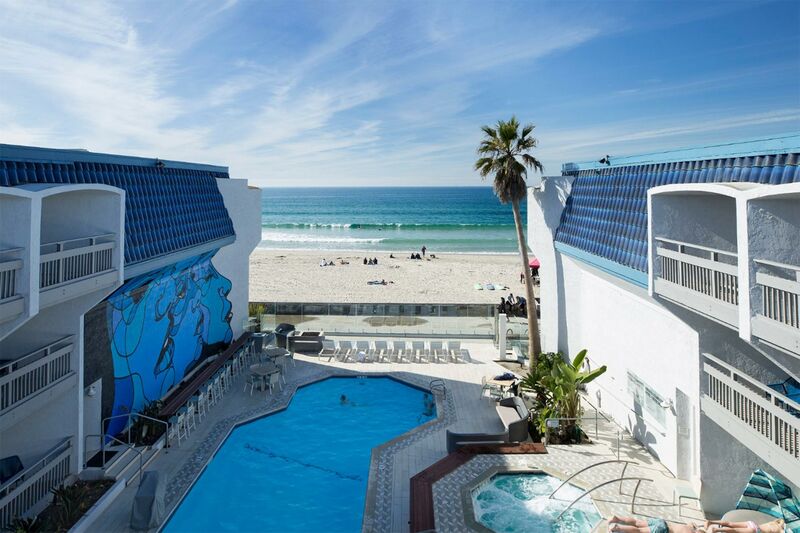 California has 840 miles of coastline — and fortunately for families itching to take a vacation, there are some great, kid-friendly resorts right along the beach. So, grab your sunscreen and swimsuits and make your getaway plans. 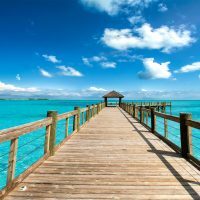 While options range from budget-friendly to lavish, California beach resorts often make a one-stop getaway appealing with lots of other amenities beyond the sand and surf. 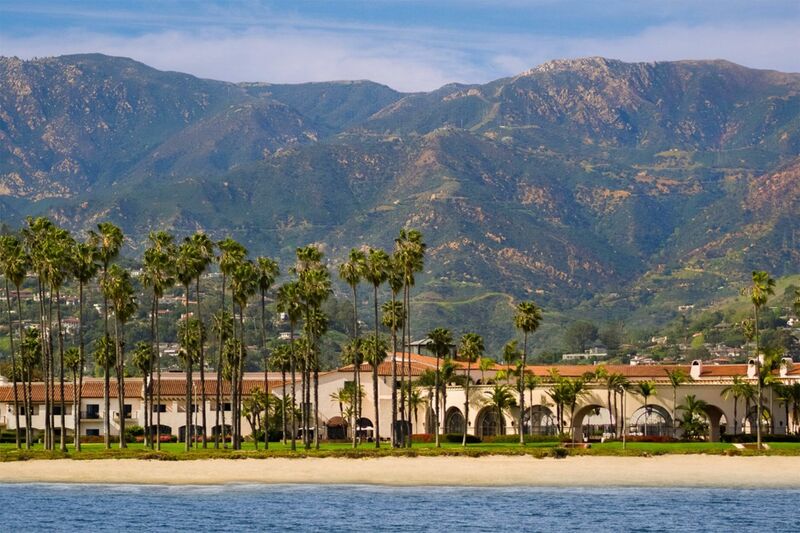 These are the best California beach resorts for families. 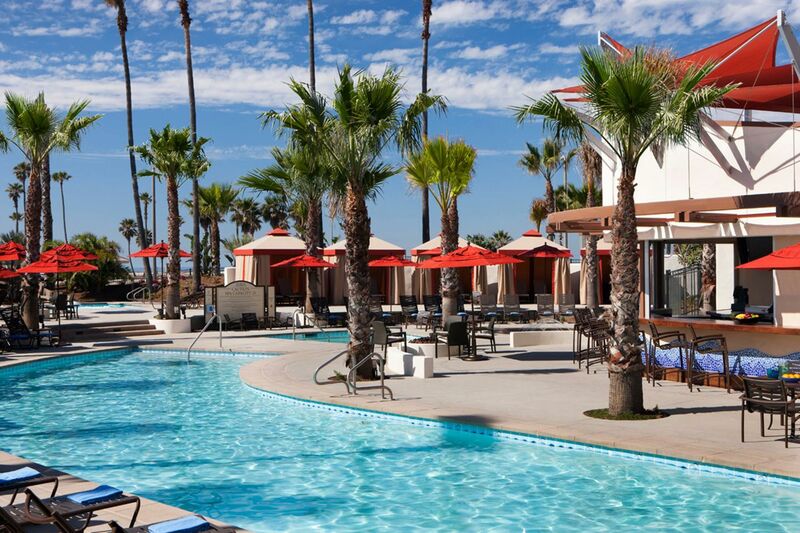 Huntington Beach is known as Surf City, and this Hilton resort lives up to that reputation. 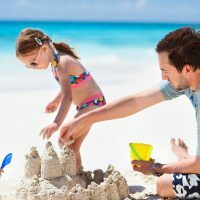 Guests have access to 10 miles of pristine beachfront at The Waterfront Beach Resort, plus the whole family can enjoy the sand with the resort’s cabana rentals (complete with flat-screen TVs), beach equipment, and fire pits. Some room packages include the breakfast buffet, where kids under 4 automatically eat free. Small dogs are welcome, and kids can enjoy the hotel’s children’s activities and children’s menus. Tip: Before you book, make sure construction on the pool area will be complete during your trip. While the waterslide and kid-friendly remodel sound great, it’s no fun to get there and discover you can’t enjoy them. Every room promises a view, and even the onsite restaurant at Surf & Sand Resort is located just inches from the crashing waves. This California beach resort offers a family fun package, which includes milk and cookies, plus in-room S’mores and snores with indoor camping. Kids will love the pool, which is surrounded by cabanas and is directly situated on the beach. It’s an ideal spot to watch the sunset with the whole family. If your kids are interested in exotic birds, three colorful ones are permanent residents of the Catamaran Resort Hotel and Spa and come out every day to put on a show at 3 p.m. There are free arcade games for kids to play, and the heated pool is a nice way for families to end the day after a trip to nearby SeaWorld or an afternoon at the beach, where the hotel offers complimentary lounge chairs and umbrellas. The Kei Kei kids’ club will keep little ones busy, too. Save room for warm chocolate chip cookies and don’t miss a chance to use the tennis courts (bring tennis shoes — athletic shoes aren’t allowed) and the largest outdoor pool in the region. As a bonus, there’s a huge public playground just a short walk away from the Hilton Santa Barbara Beachfront Resort. While adults must pay for the breakfast buffet, kids eat free. 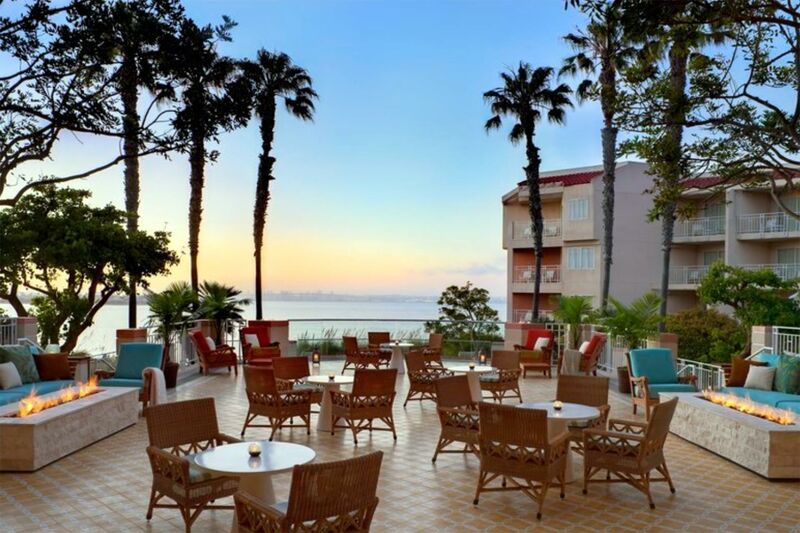 Grown-ups will appreciate that there’s both a main pool and an adults-only pool at the Loews Coronado Bay Resort, so parents don’t have to worry about their kids splashing adults who may not be so understanding. There are kids’ activities (and an outdoor chess set), plus a shuttle to the beach and another shuttle into Coronado. For parents who just want to relax instead of chase the kids, it’s possible to see the beach from the pool area at the Blue Sea Beach Hotel. Welcome cookies are available, and the staff gives recommendations for kid-friendly activities in the area (including fun things to do when it rains). There are video games in the lobby, too. 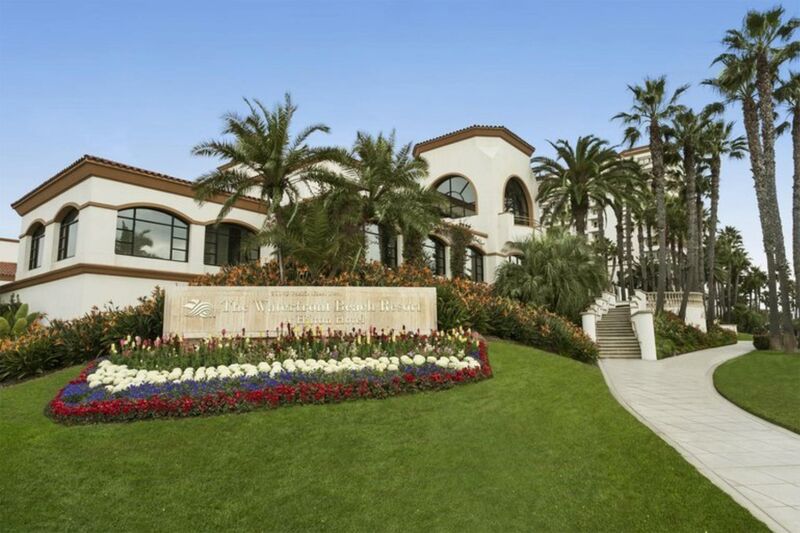 While the beach is a short walk from the upscale Monarch Beach Resort, there’s a tram ride to make the journey easy (unless you want to hike). There are two heated pools, with one geared toward families and kids (during the summer, the other pool is adults-only). Kids can play on the grass lawn, and there’s a kids’ club, too. 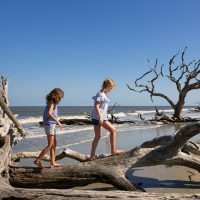 Kids will love the Sanctuary Beach Resort‘s tradition of bonfires at the beach (you can buy a S’mores kit from your room’s mini-bar), and while the water might be cold most of the year, that doesn’t stop kids from swimming! If you want a warmer option, the pool is heated. 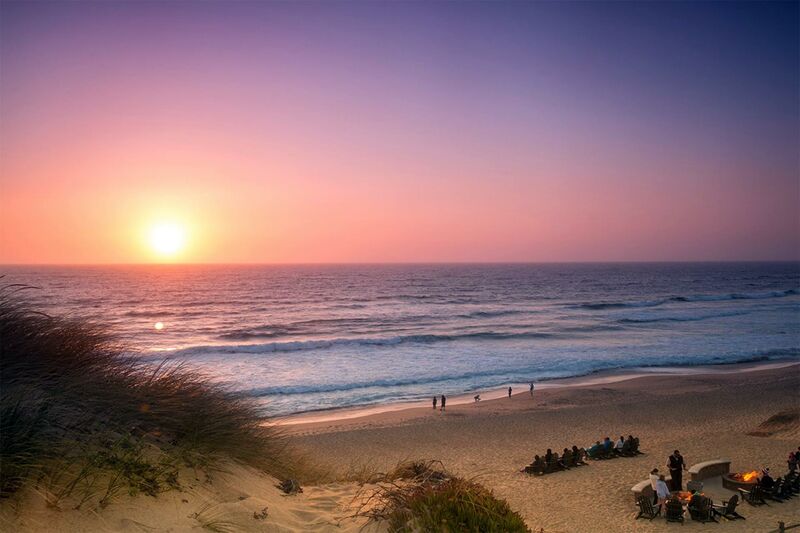 Some rooms face the beach, but it’s worth hitting the sand early (between 6 a.m. and 10 a.m.) no matter what, as it’s the best time to spot dolphins and whales frolicking. 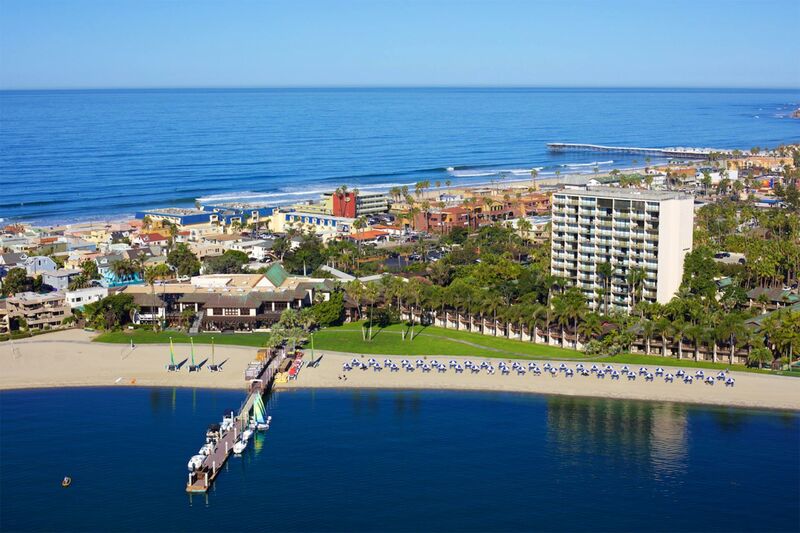 LEGOLAND California is just 10 minutes away from this California beach resort, but there’s so much fun to be had at the Tamarack Beach Resort and Hotel, you may forget to leave! There’s a recreation room with a pool table and Ping Pong table to appeal to the whole family. There’s a pool with two hot tubs, as well as the beach to explore, but when the kids want to take a break, there are free DVD rentals, too. The rooftop pool and its chaise lounges look out over the beach, so it might be hard to get motivated to leave the Shutters on the Beach. But there are bicycles for rent if you decide to explore. While the onsite dining options get enthusiastic reviews from past visitors who applaud the kid-friendly options, what if you want to explore the upscale restaurants nearby sans little ones? The resort will help you get a friendly babysitter. The big appeal of the Hyatt Regency Huntington Beach Resort and Spa has to be the pool options; in addition to the two lagoon-style pools, the Slyders Playground has three slides, a children’s wading pool, and a hot tub. There’s also a Game Zone arcade and play room – plus a retail plaza with a grocery and coffee shop.